Yaron Brook Show: NZ Massacre & "White Genocide"
Yaron discusses the horrific massacre in NZ and its ideological roots in racist white supremacy. The term often used by the Alt-right and other racists -- "White genocide" will be discussed. Like what you hear? Become a sponsor member, get exclusive content and support the creation of more videos like this at https://www.yaronbrookshow.com/support/, Subscribestar https://www.subscribestar.com/yaronbr... or direct through PayPal: paypal.me/YaronBrookShow. Want more? Tune in to the ... See More Yaron Brook Show on YouTube (https://www.youtube.com/ybrook). 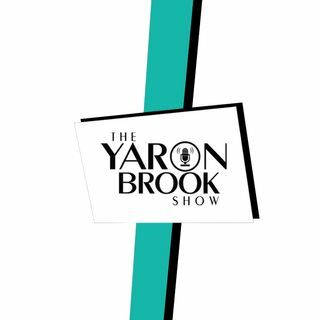 Continue the discussions anywhere on-line after show time using #YaronBrookShow. Connect with Yaron via Tweet @YaronBrook or follow him on Facebook @ybrook and YouTube (/YaronBrook).